StandardAero company executives joined the staff at its Miami location for the ribbon-cutting of a 30,000 sq ft expansion on Oct. 25th. 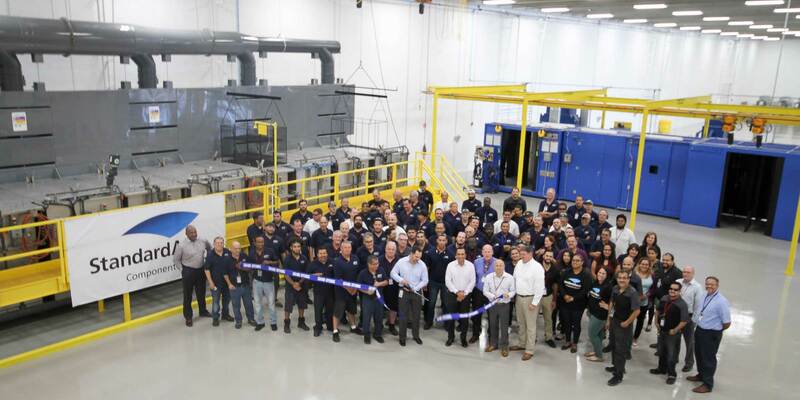 Arizona-based MRO provider StandardAero has completed a 30,000-sq-ft expansion project at its Miami facility that included a clean room, an additional vacuum furnace, and water jet cleaning capabilities. The addition will make the location the largest provider of aerospace combustor overhauls in North America, and the world’s second largest, according to StandardAero, which acquired the former privately held Jet Aviation Specialists (JAS) facility last year.